STUDR038: Bunny On Acid : What Colours Are? 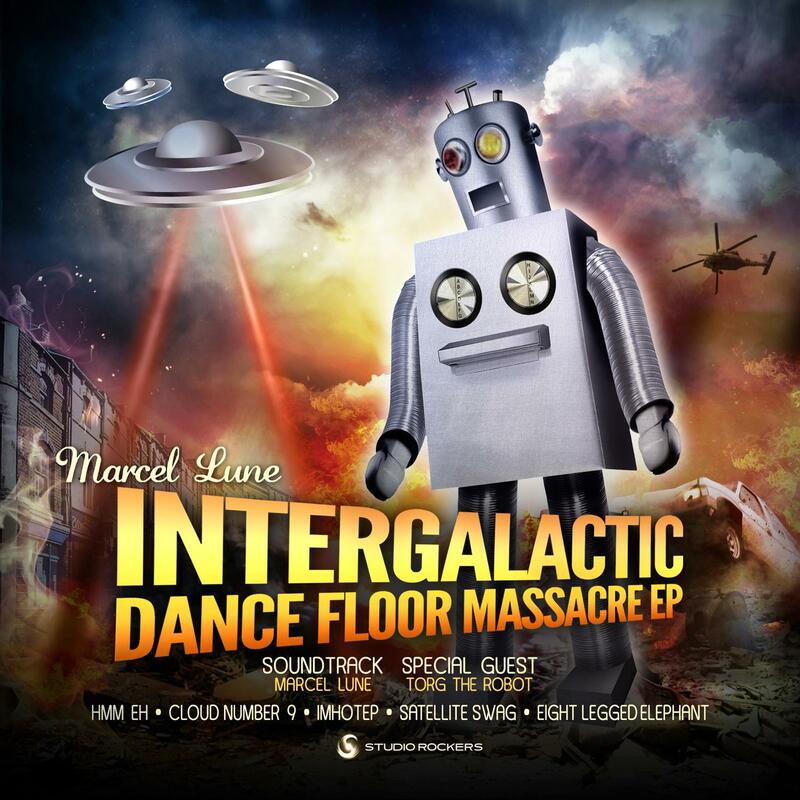 "Intergalactic Dance Floor Massacre EP"
Marcel Lune grabbed attention last year with his interstellar remixes of Inner City's 'Big Fun'. He's now set to release a 5 track EP with Studio Rockers. The Marcel Lune story goes back to 2006, when label boss Tony Thorpe had released his remix of Amy Winehouse's "Love is losing game". The track received a number of online messages from a certain Motz Workman who didn't seem to appreciate Tony's reworking of the track. Time rolled by, and in early 2012 Tony stumbled across the work of a young producer named "Azura", highly impressed by his work Tony began working on signing the talented youngster to the label. It wasn't until a few months later that the penny dropped and Azura revealed his true identity, the wild internet vigilante critic known as Motz Workman! It was decided that in order to continue with the release, Motz would have to purify himself of his previous wrongdoings and evolve into a higher state of being, leaving behind his "Azura" moniker and becoming Marcel Lune. Marcel Lune's alien productions are razor sharp and perfect for the floor, but intricate enough for solid headphone sessions too. With support from the likes of Rustie, Addison Groove, and Bambounou, it's looking like a promising summer for this young producer. Um Ehh is the lead track, one of the more melodic of the bunch with wild detail and expansive sounds throughout. There's a suitably Sci-Fi themed video on the way for that one so keep an eye out! IMHOTEP on the other hand is a mutant dubstep track without the cliches. It's progressive, clever and absolutely deadly in the dance. This is followed by bass heavy, detroit techno infused sensibilities of "Cloud number 9". Next up, 'Satellite Swag' provides a twisted, intricate downtempo vibe that's full of quirky colours and movement. To finish the package we've got 'Eight Legged Elephant', woozy in its attitude but technical in its execution, slowing the bpm a few notches as the EP comes to a close. Watch out for the mind-bending freebie â€“ Spy Glass. Produced & mixed by Marcel Lune.